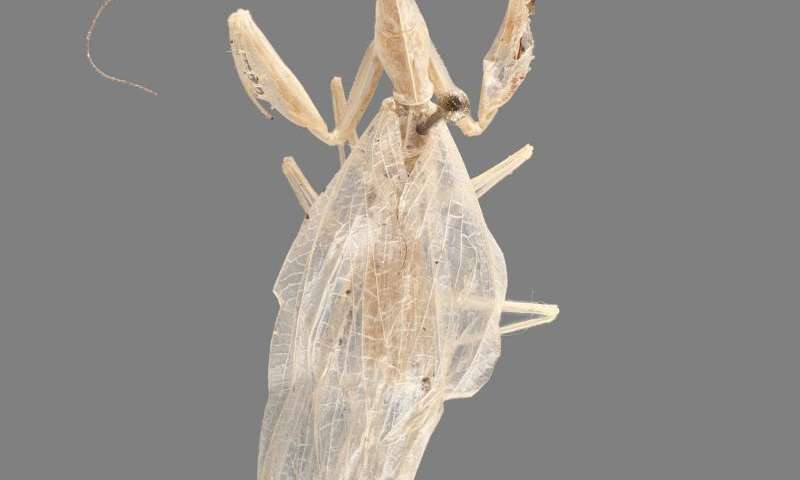 While studying the insect collection of the Museum national d'Histoire naturelle, Paris, France, two American scientists uncovered a small, leaf-dwelling praying mantis with unique features collected from Madagascar in 2001. Its distinctive "horned neck" and flattened, cone-like eyes, as well as the location from where it was found, led the researchers to assign the insect to a new genus and species. The study is published in the open-access journal ZooKeys. Lead author Sydney Brannoch and co-author Dr. Gavin Svenson, both of the Cleveland Museum of Natural History and Case Western Reserve University, were working on a research project in their laboratory in Cleveland, Ohio, when Brannoch discovered the undescribed insect among the French collection on loan to them at the time. 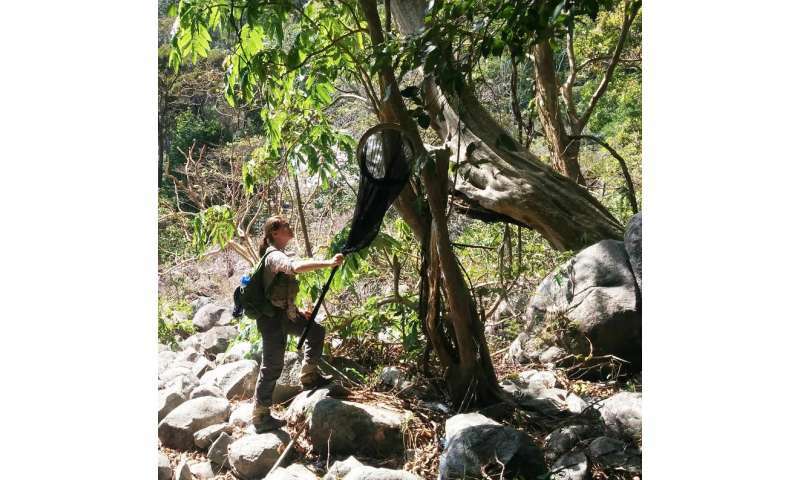 To determine the insect's identity, the researchers first investigated the specimen's locality, Tampolo, Madagascar, where it had been collected from the leaves of an unrecorded tree. When compared to other praying mantis species from this region, they found that this individual had many peculiarities that set it apart. After comparing and analyzing specimens from various museums, the Cleveland scientists created a new genus for the praying mantis. They selected the genus name Cornucollis to reflect the horn-like projections, which extend from the insect's neck. The team described and named the new mantis species Cornucollis masoalensis after the locality where the mantis was originally collected. It belongs to the subfamily Tropidomantinae, which is comprised of smaller, usually green mantises that appear to live on broad-leafed plants. 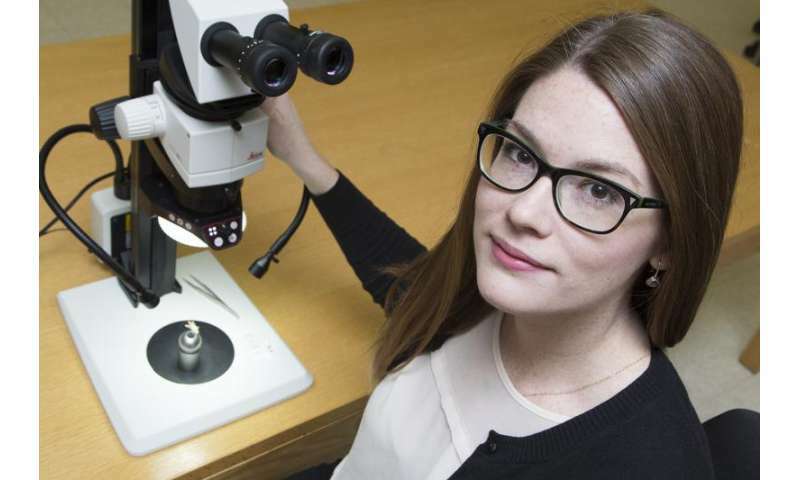 "Identifying a unique praying mantis hidden among other species was unexpected and exciting," said lead author Sydney Brannoch, a Case Western Reserve University graduate student working under the direction of Dr. Gavin Svenson at the Cleveland Museum of Natural History. "There are untold numbers of species new to science sitting in cabinets and cases within natural history museums around the world. Often these specimens have been overlooked, in some cases for centuries. The discovery of this new praying mantis ultimately highlights the need for continued research in museum collections." "Museum collections hold hidden treasures of biodiversity," said co-author Dr. Gavin Svenson, curator of invertebrate zoology at the Cleveland Museum of Natural History and adjunct assistant professor at Case Western Reserve University. "A closer look can reveal species never before recognized as unique." Dr. Svenson supported the study as part of his ongoing research to classify praying mantises based on evolutionary relationships. The newly described leaf-dwelling mantis, Cornucollis masoalensis, measures about 24 millimeters in length, which is small for a praying mantis. It has distinctive speckled patches on its head. The new mantis is pale in color with opaque, well-developed wings. Based on external appearance, the researchers believe that this species dwells on the undersides of leaves, a unique ecological niche occupied by morphologically similar, closely related species. The scientists suggest further field surveys could provide science with additional knowledge about the new species and genus, including the description of a female individual. This study was done as part of Dr. Svenson's broader research project, which is focused on the evolutionary patterns of relationship, distribution, and complex features of praying mantises. His current research project aims to align new sources of relationship evidence (DNA sequence data) with morphology and other features to create a new and accurate classification system for praying mantises that reflects true evolutionary relationships. I'd have the photo of the mantis be at least as well shot as the photo of the pretty lady.